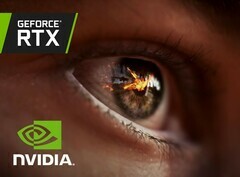 Gamers that were rather reticent regarding the adoption of Nvidia's real-time ray tracing technology implemented in the latest RTX 2000-series GPUs may be interested to know that Epic Games is planning to make it easier for game developers to add ray tracing effects to existing and upcoming games with the release of Unreal Engine 4.22. One of the main selling points for Nvidia’s RTX 2000-series is the hardware real-time ray tracing acceleration provided through the RT cores. The problem with this new technology is that there are only a few games that support it natively right now (Battlefield V and Metro Exodus). Nvidia promised that there will more RTX-compatible titles soon, but the list only included 11 games that may or may not be released this year. This is one of the reasons that is hindering the mass adoption of the new RTX GPUs, as gamers are not yet convinced the ray tracing tech will be widely supported in the foreseeable future. However, it looks like the RTX GPUs could get a significant adoption boost since Epic Games just announced that its Unreal Engine 4 will natively support real-time ray tracing and path tracing in version 4.22 of the popular game engine. UE4 developers will be able to implement basic ray tracing shaders and effects through the low-level layer added on top of the UE DirectX 12 that provides support for DXR. Developers working on upcoming games may also consider adding high-level ray tracing features like rect area lights, soft shadows, reflections, real time global illumination, IBL, Niagara particles etc. Now that Epic Games is doing so well with the Fortnite craze and the new Epic game store, the company appears to be willing to give back to the gaming community by supporting new technologies that could shape up the future of the gaming industry.